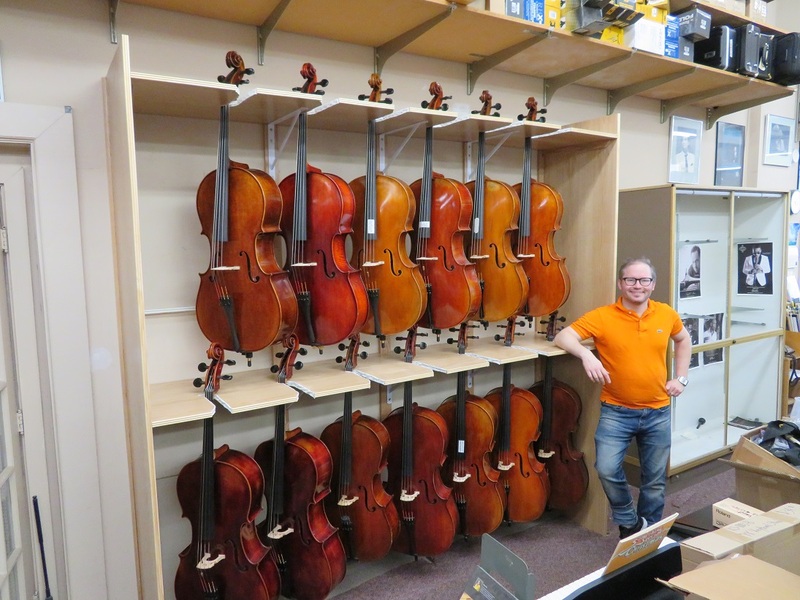 Today we have a unique showcase for displaying Cellos custom built by Stefan Dromlewicz, Woodworking contractor from Waldorf, Maryland, for Foxes Music in Falls Church, Virginia. 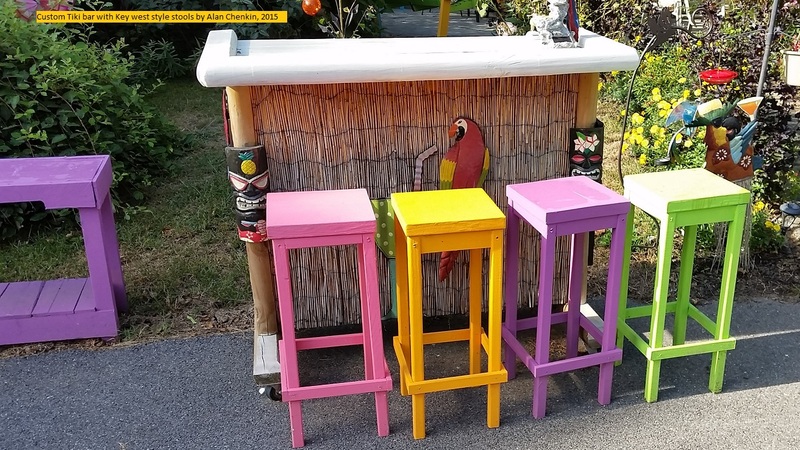 The piece was custom designed for the owner, and made from White Oak Plywood panels and solids, hand finished in a water based gloss polyurethane. The cabinet features steel angle supports, bump rails, and assembly with finish screws for easy modification. It can hold 13 Cellos. 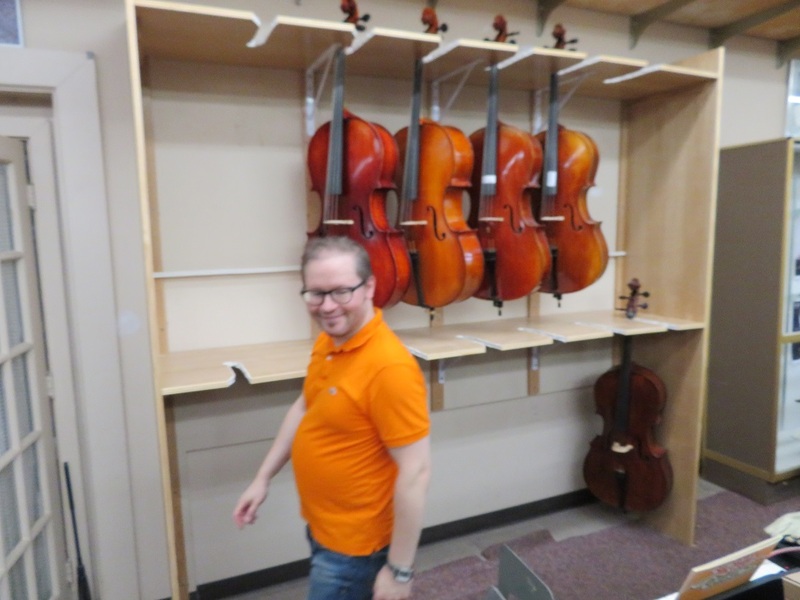 David with the fully populated Cello rack. 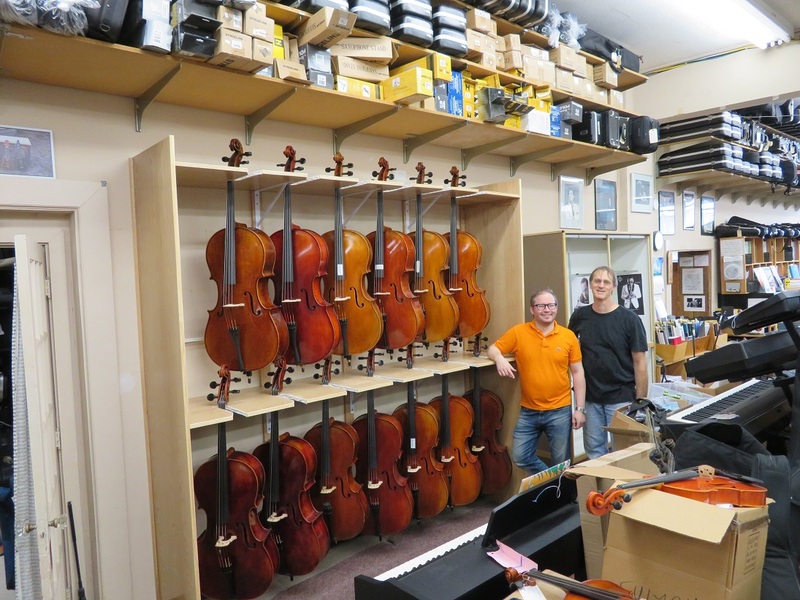 David and Stefan with the fully populated Cello rack. 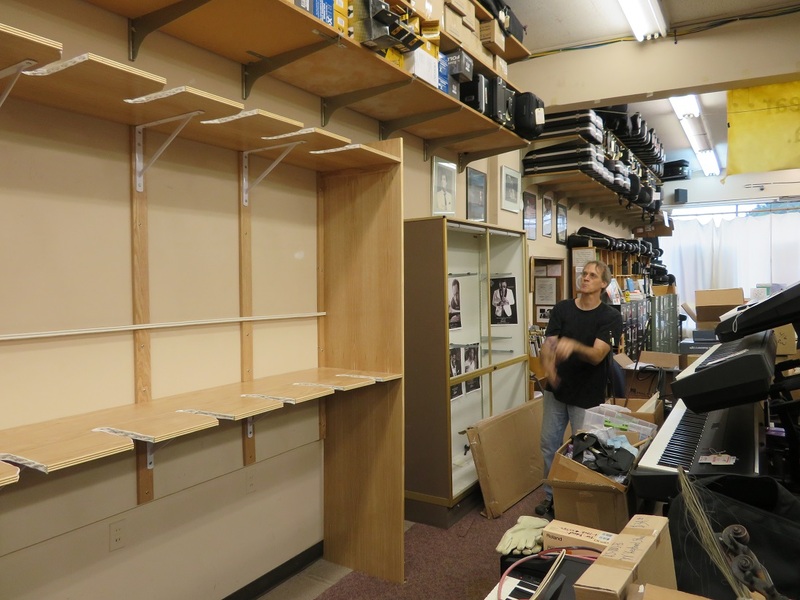 View from the back of Foxes Music Co.
SEE? 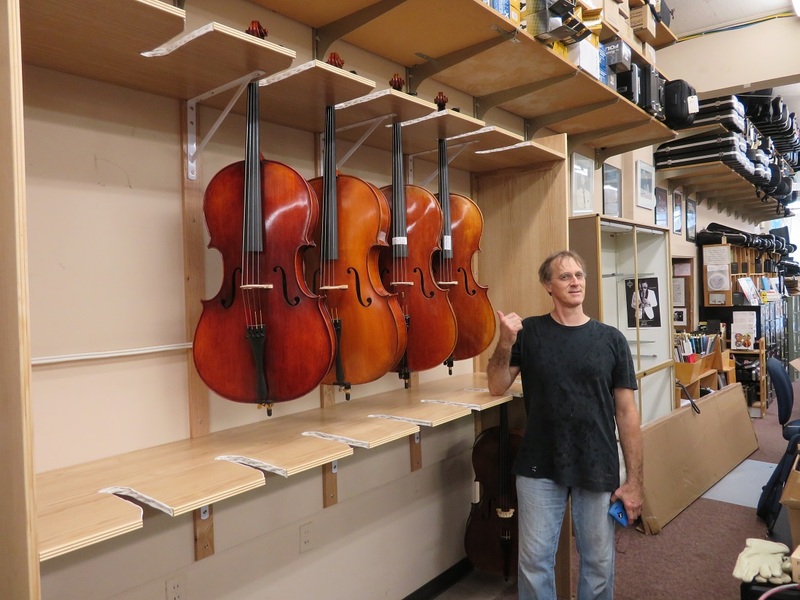 I told you the Cellos would fit…. 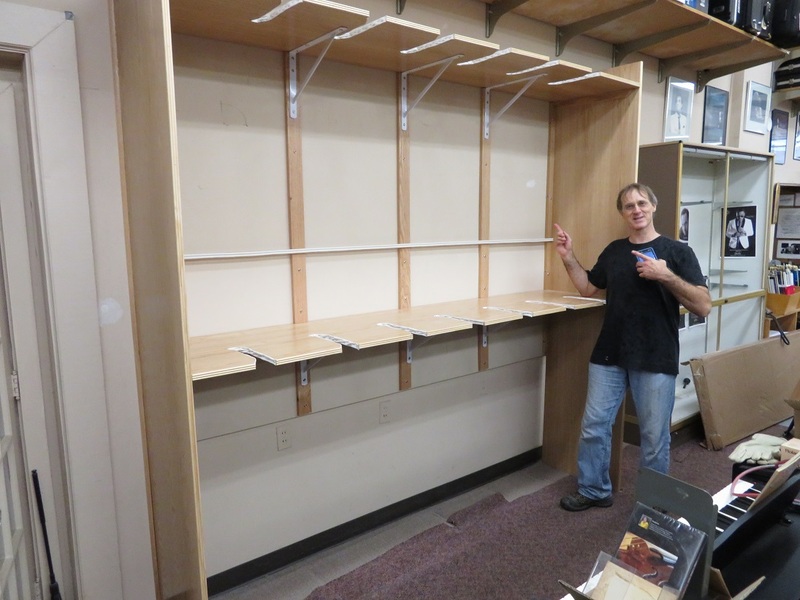 Finished display rack, spent woodworker! A lot of work went into this. (reflective moment). 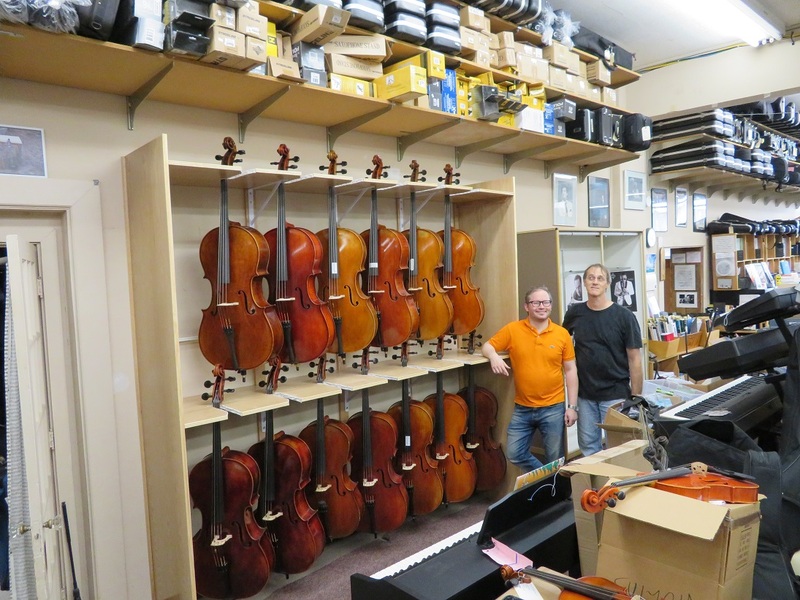 David and Stefan with completed display! 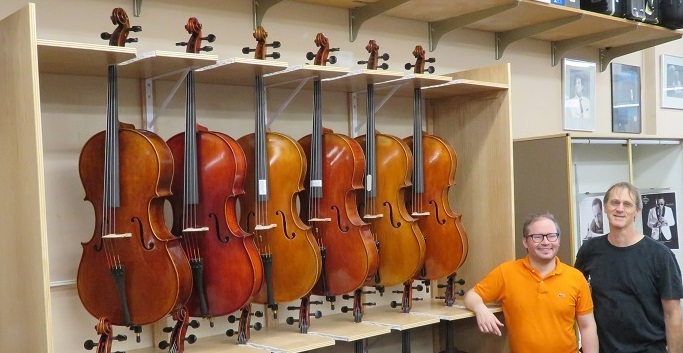 The instrument slots feature padding to protect the neck of the cello, as well as the body, and turn the instrument approximately 30 degrees for added visibility. 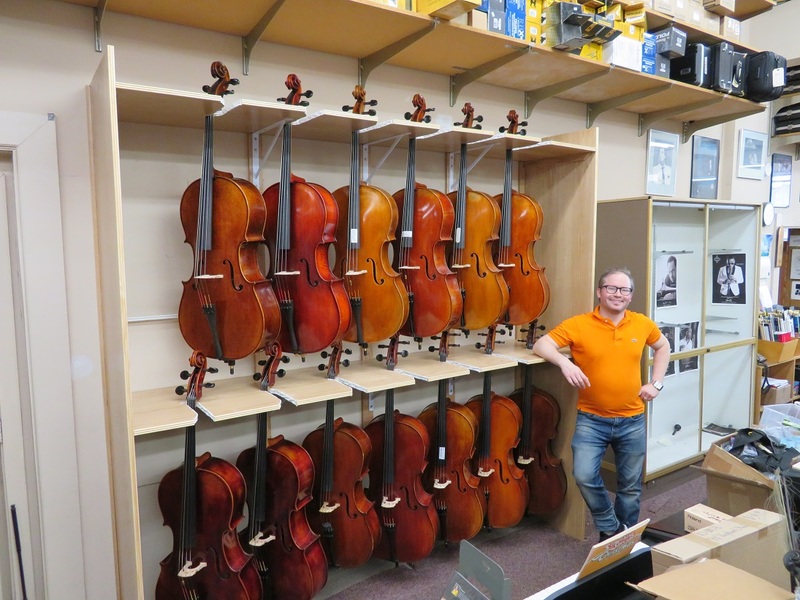 The Cello display is a complement to the Violin display (not pictured). 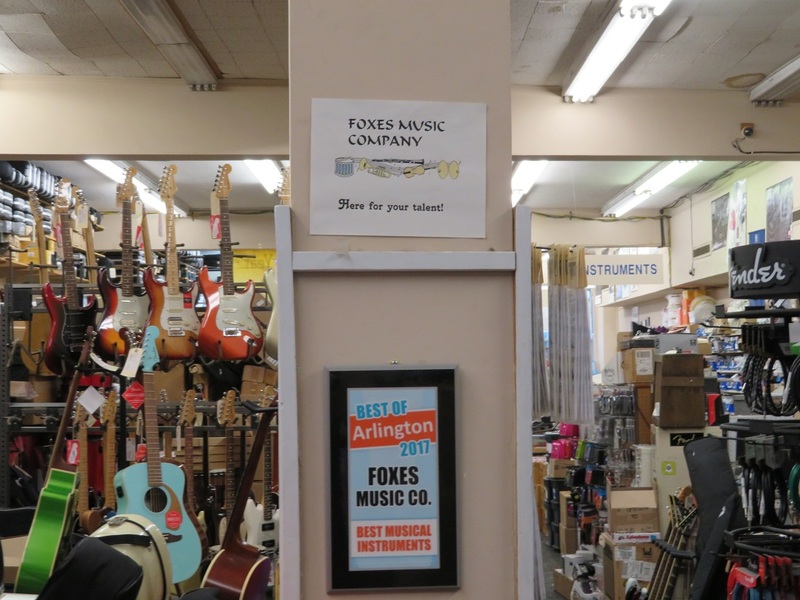 Congratulations to Stefan and Foxes Music for this wonderful display! 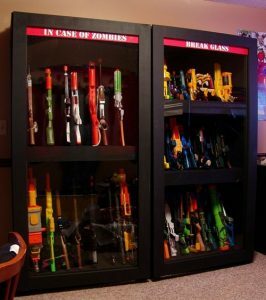 Nerf display case – for the Zombie Apocalypse! 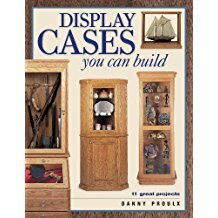 Display Cases You Can Build (Popular Woodworking) – from Amazon Books. 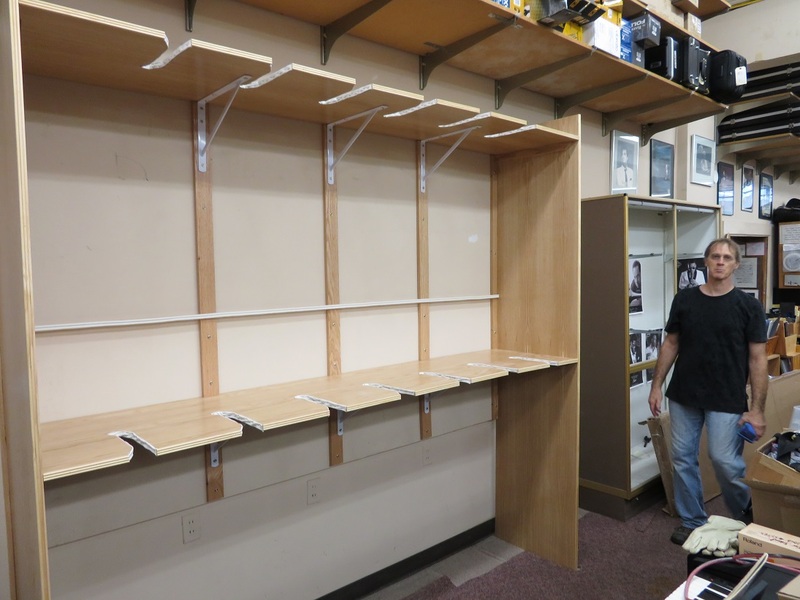 Previous PostPrevious Where can I get exotic wood and wood slabs? Next PostNext Is it ok to pressure wash cedar siding?